Rarely can the phrase 'legend in her own lifetime' be applied with such gusto, and the term 'modern classic' used with such zeal – in fact she’s the definition of it. 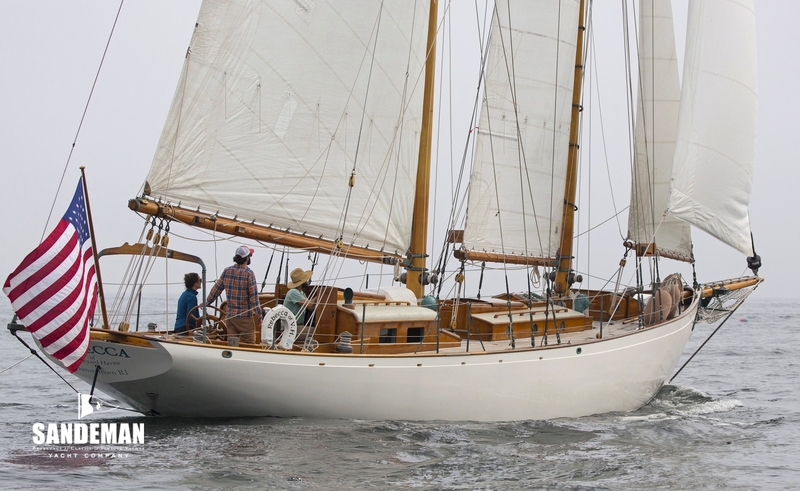 The schooner REBECCA OF VINEYARD HAVEN is all of this and yet so much more: a thoroughly modern yet authentically traditional yacht that enchants by provenance - real, and informed by the best of the best, Alden, Stephens - aura, looks, comfort, and performance. 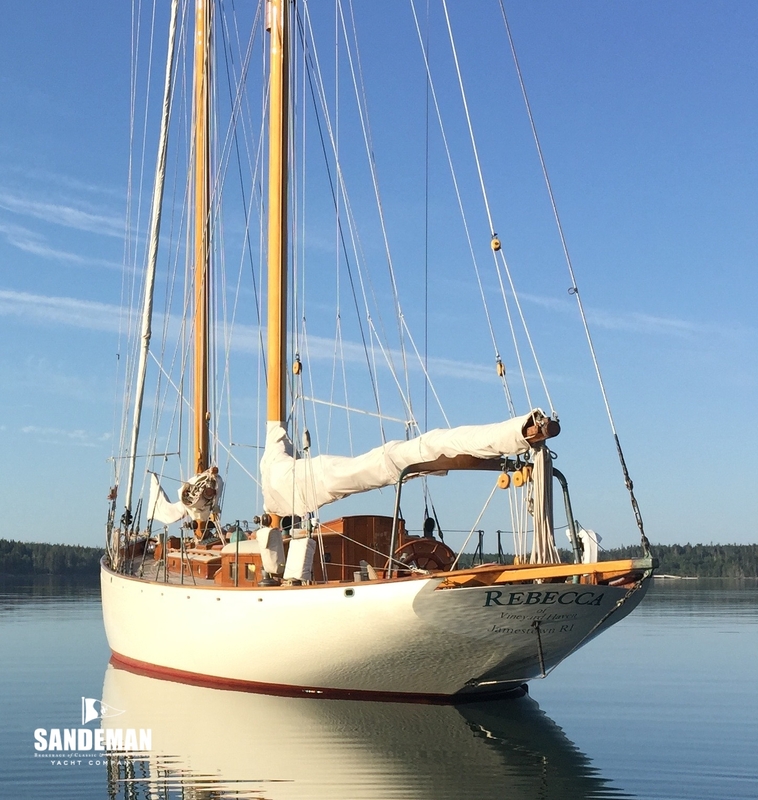 REBECCA was beautifully, traditionally built from the finest of materials by one of the best yards, and has enthralled two caring custodians in her first eighteen years, carrying them safely and very comfortably over and along both seaboards of the Atlantic Ocean. 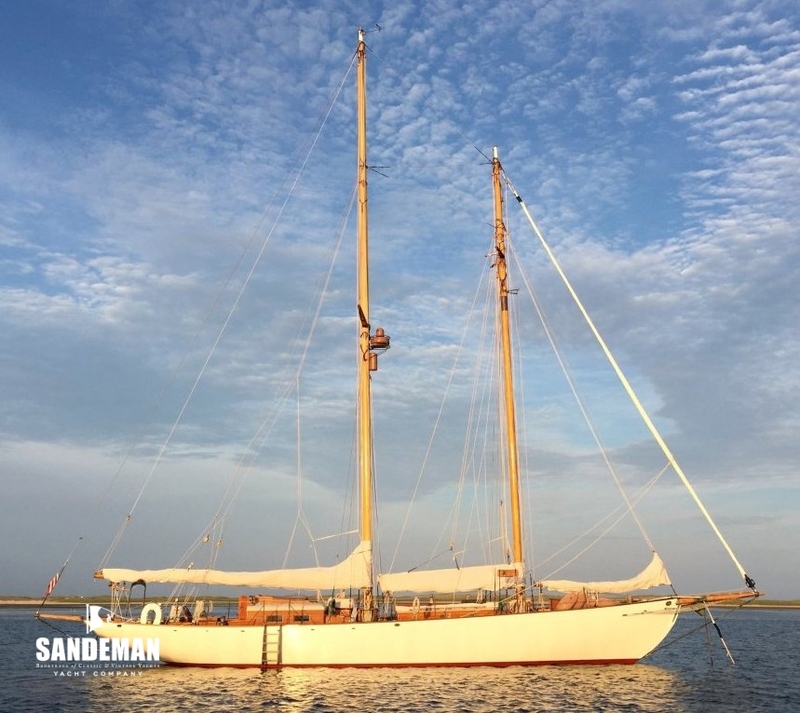 Under present ownership the maintenance regime has been second to none and REBECCA OF VINEYARD HAVEN is ready for more adventures with a very lucky third owner; perhaps even new horizons. It could be you. 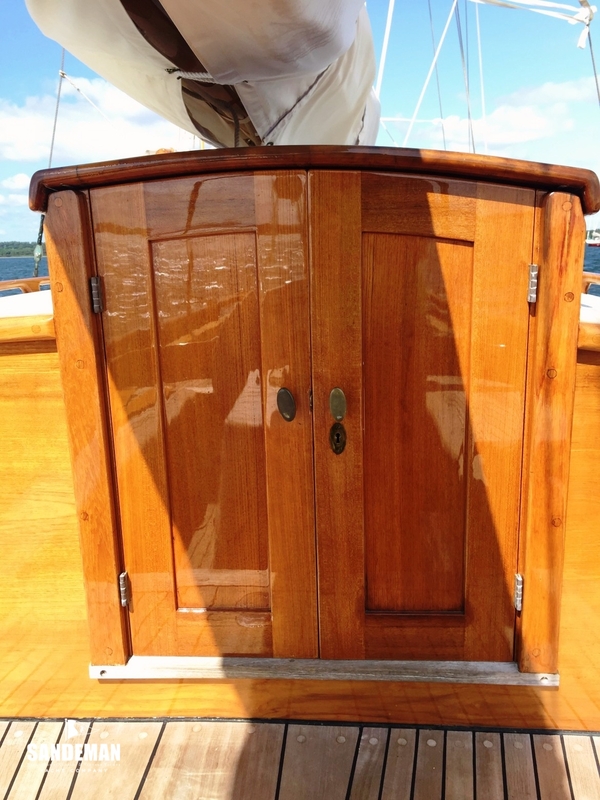 REBECCA OF VINEYARD HAVEN has opened doors for me in almost all ports. She is glorious while not being pretentious. I have been warmed by the hospitality of many people over the globe thanks to the passion I have to know them and the fact that ROVH invites people to dream. I'm not going to try to put my finger on it but there is something connective coming from Ross Gannon and Nat Benjamin and being part of this narrative has been icing on an already spectacular adventure. 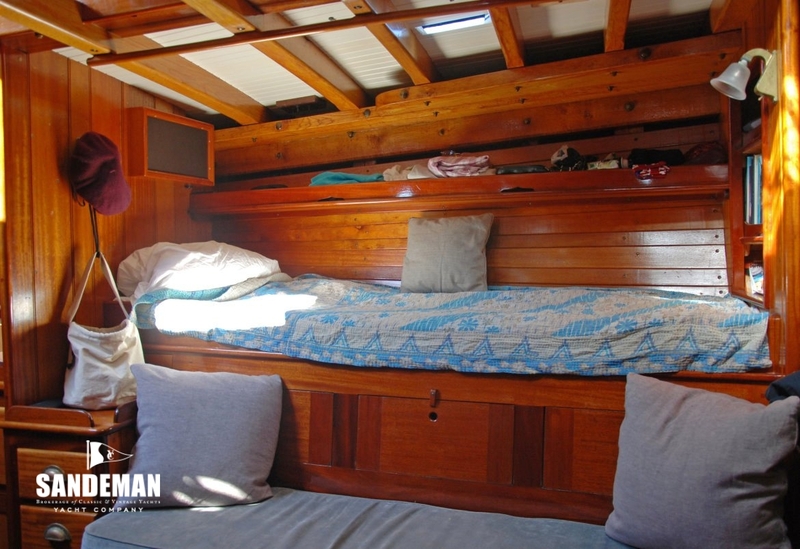 She easily sleeps 9 and is really fun with 4, or 3, or 2, and sometimes just one. Me. 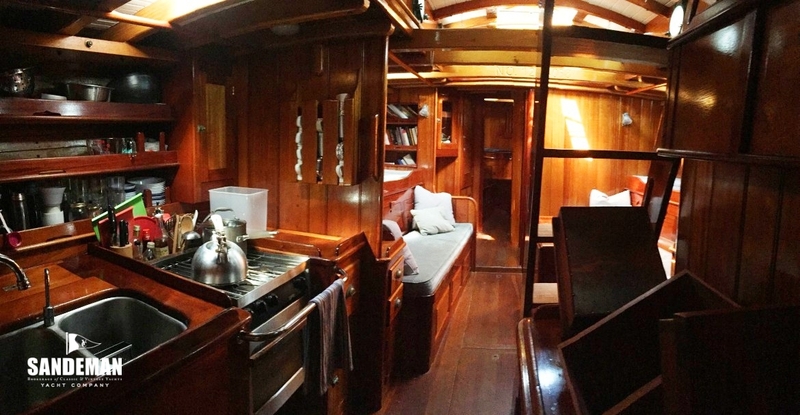 The Galley is easy to use and I often cook for my friends as they are mesmerized by the sailing up on deck. The ice box can take a block of ice and has refrigeration. I generally balance the two together for long voyages. There are beautiful drawers and closets for storage. 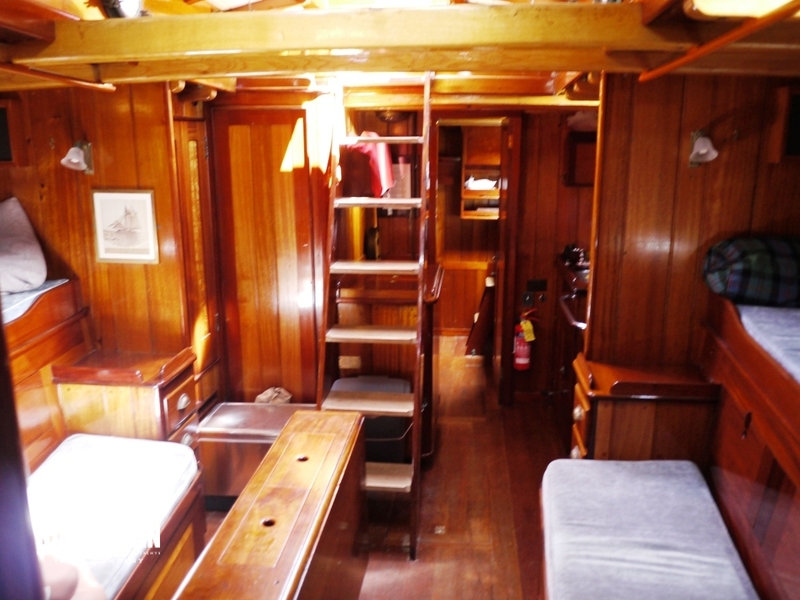 The bilge is mostly dry with many redundant pumps in the case of water coming in. 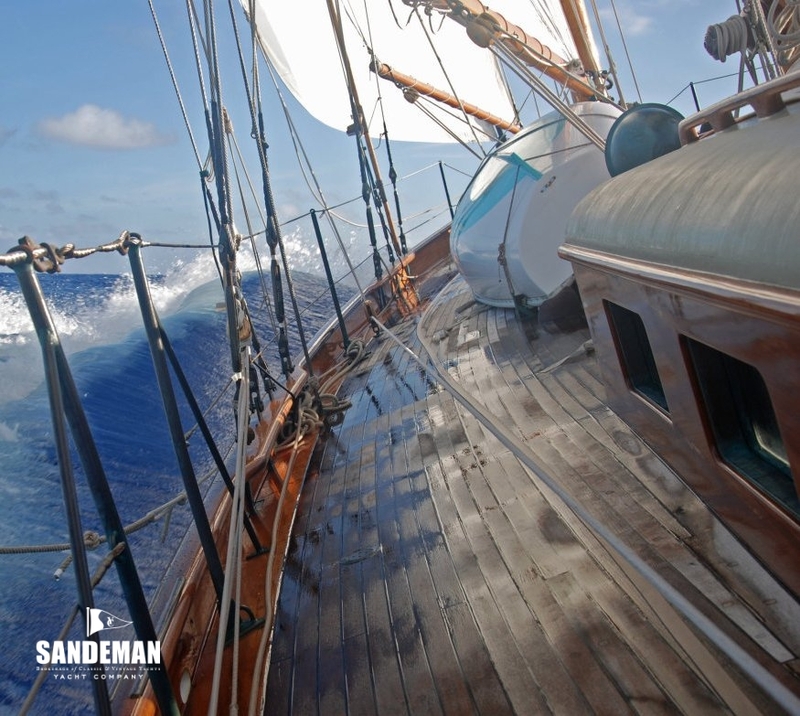 I'm reminded of sailing off Bermuda with good wind and a large following sea. 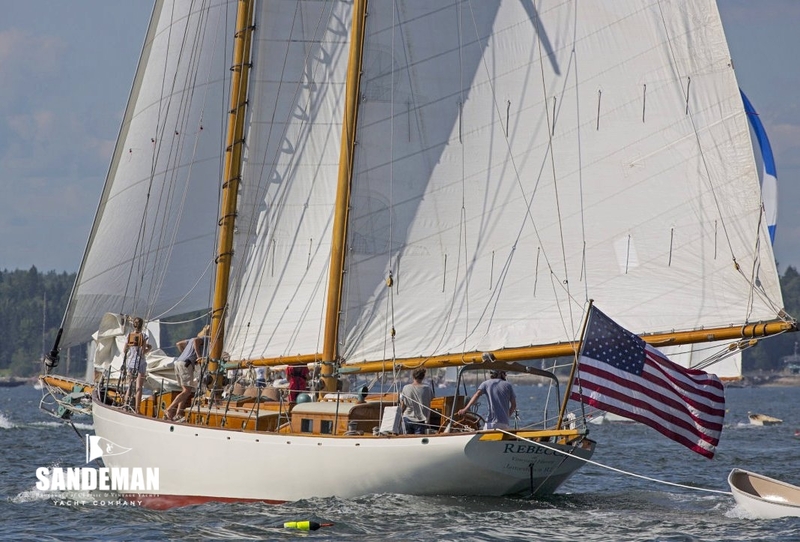 There were three friends singing in the cockpit as REBECCA OF VINEYARD HAVEN sped down the waves. 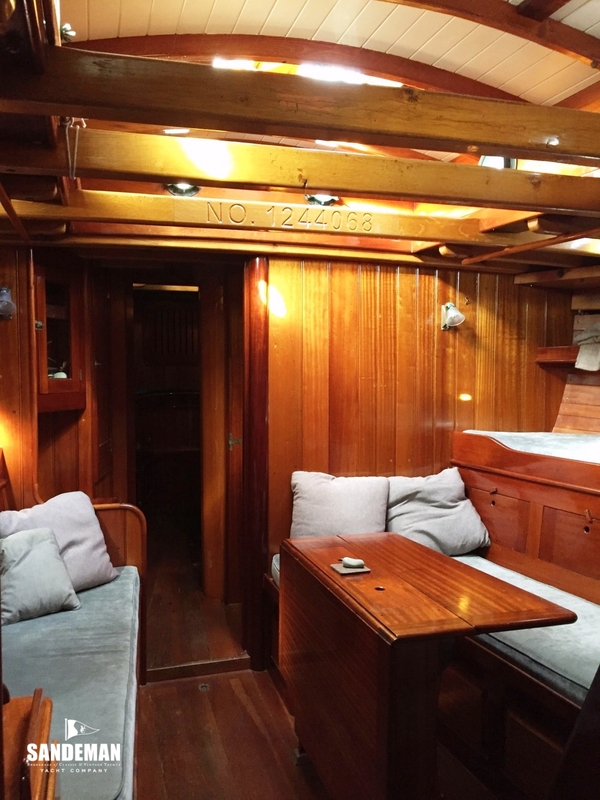 I noted someone was asleep in the doghouse after their watch and two friends were oblivious to the noise on deck, nestled in the salon reading - the almost silent gurgle and rush of water over the thick wood hull in the background. Family and friends safely at sea and loving it. Every year I make sure to go through my work list with great sub contractors. Why? 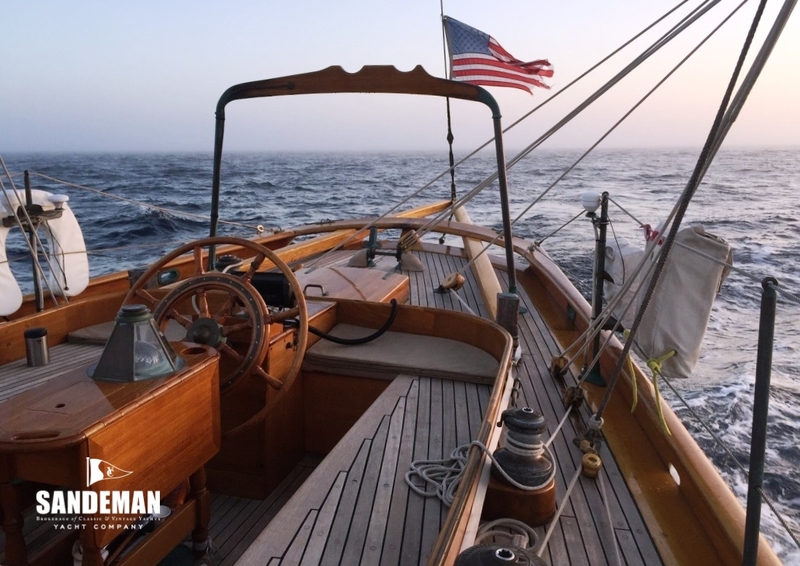 Because I am an adventurer and I want the boat to be all she can be when I am pulling into a foreign bay, in the fog, or offshore in weather for three plus days. I just returned to the USA from a 5 week trip to Nova Scotia and having all systems working was a joy and the things that failed or need improvement are now on this winter's work list. 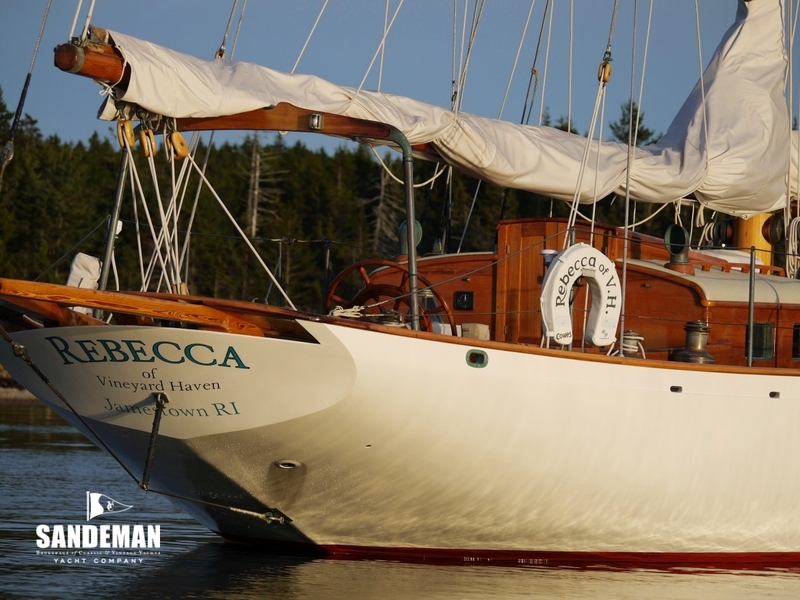 REBECCA OF VINEYARD HAVEN is in better shape than ever. 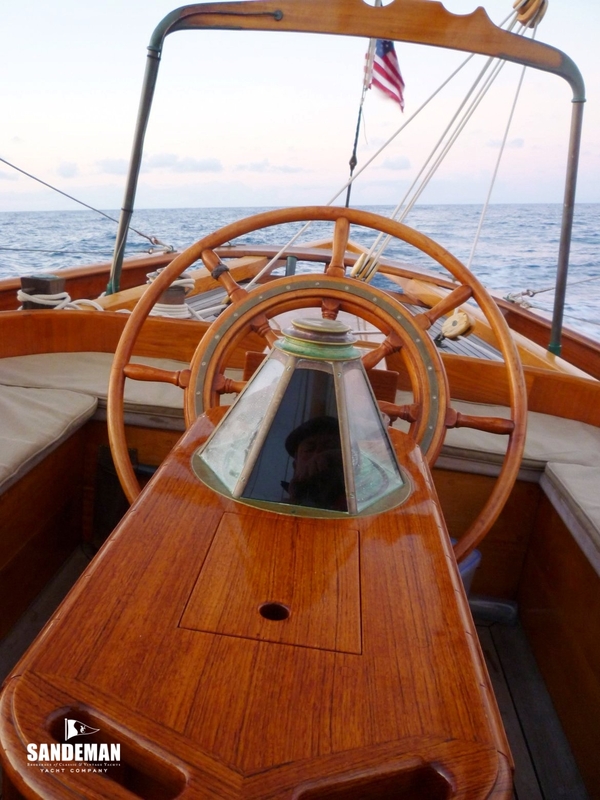 Because I care about safety at sea and the ability to do short-handed sailing, I keep her in great shape. 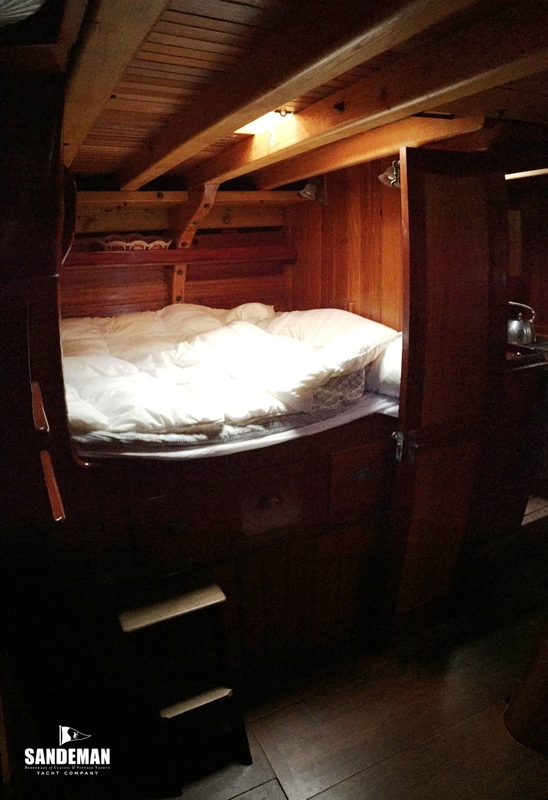 5 years ago we reefed out all the seams on the deck and hull and reset all the cotton. 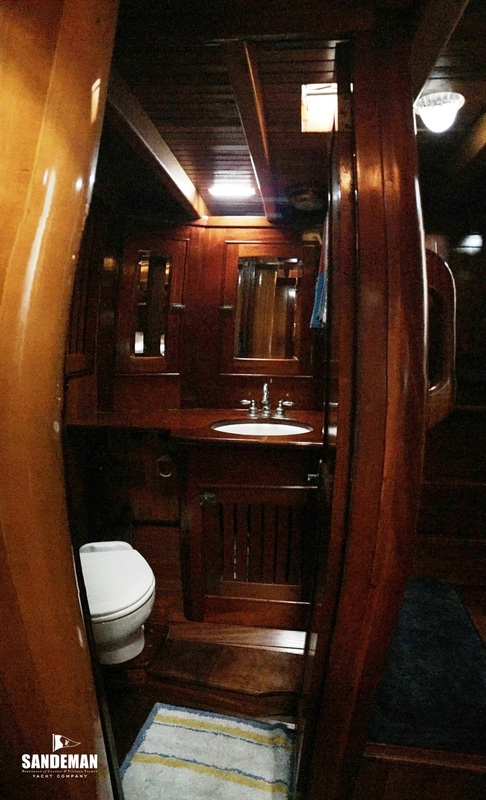 Since I was going to sail around the world I wanted the boat to be in prime condition. And she still is. 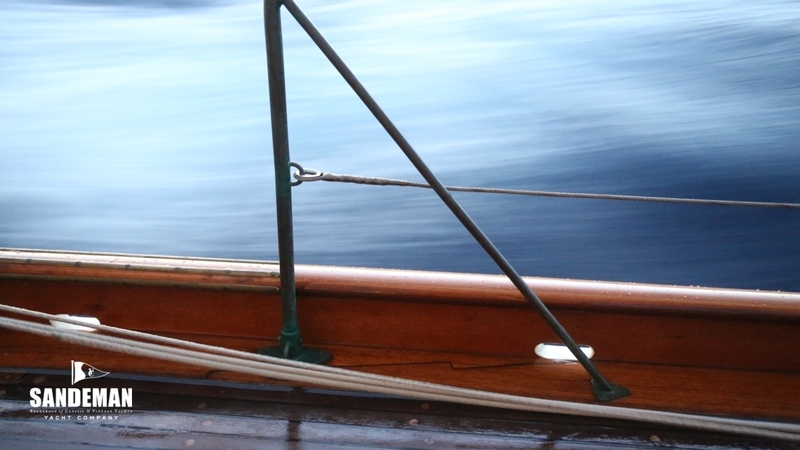 The Rocna anchor on a custom bronze roller off the bowsprit is amazing. Having used it for years I feel at ease when I go to sleep. 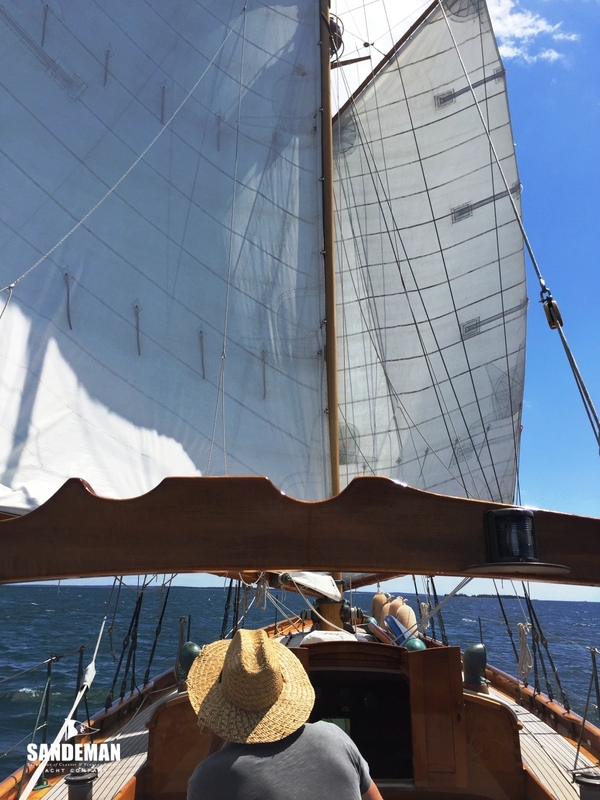 This is one of the best parts of REBECCA OF VINEYARD HAVEN's kit. Our chart plotter and instruments are of racing caliber. There is a deployable touch screen for the cockpit when you really have to have electronics at your fingertips. At this point this seems to be used less and less but has been reliable for radar in the fog and at night to navigate through shipping traffic. 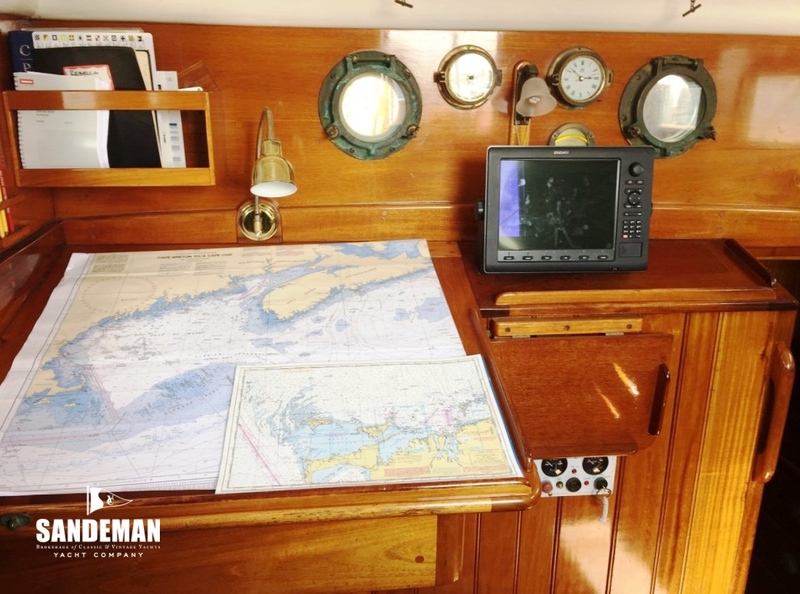 We also have a fantastic autopilot from Simrad. 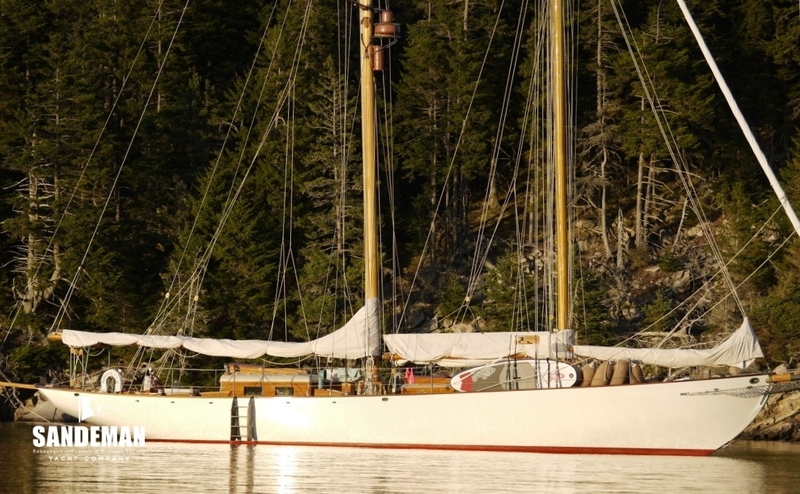 I have been known to take REBECCA OF VINEYARD HAVEN for multi day excursions solo and "auto" has made a great mate. 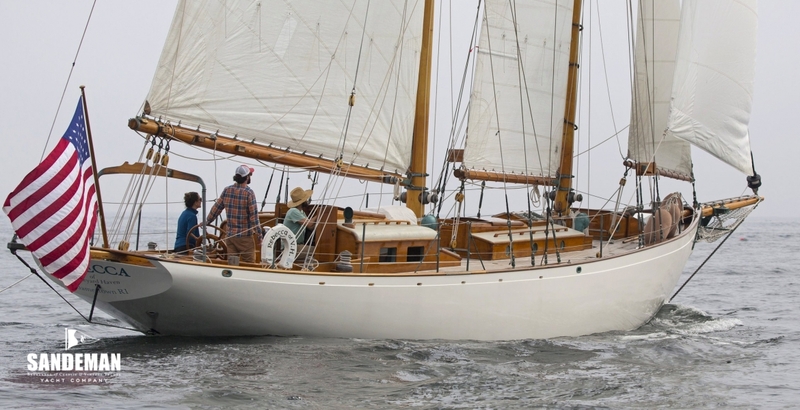 I like to think REBECCA OF VINEYARD HAVEN has a touch of 007 in her. 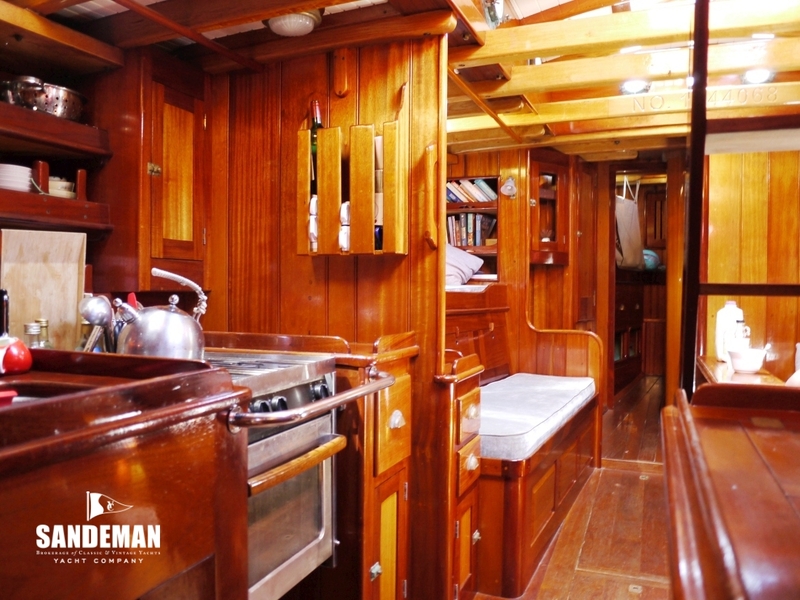 With her new electrical system, loaded with a large lithium bank of batteries. She can sail for days without any petrol support. 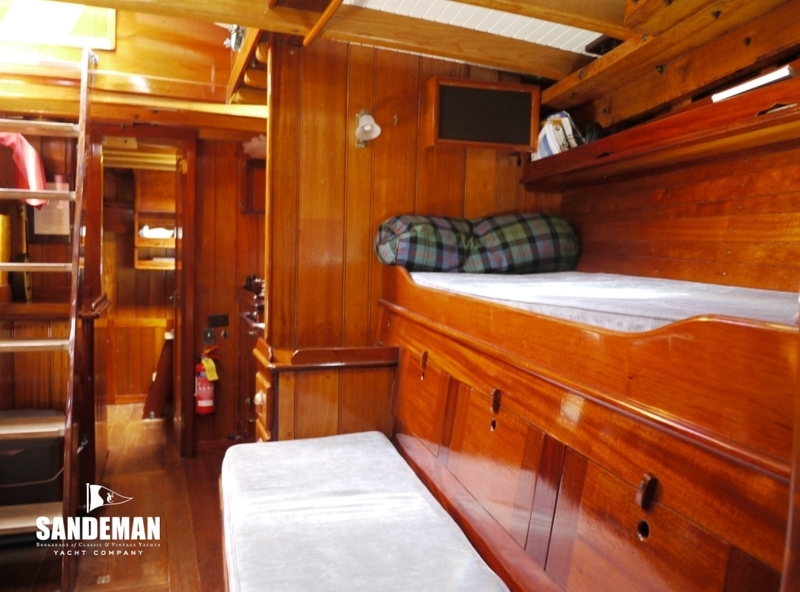 Most voyages require some motoring and at those times the batteries top off thanks to a great alternator. I rarely feel like "it's time to make the donuts". We designed a solar array that snaps onto our at anchor shade awning. The design is to provide enough juice for us to top off our batteries at the rate that we would need to make fresh water without using the diesel. One of my favourite Bond moments is opening the lazarette hatch behind the cockpit to lace the sailing with music. 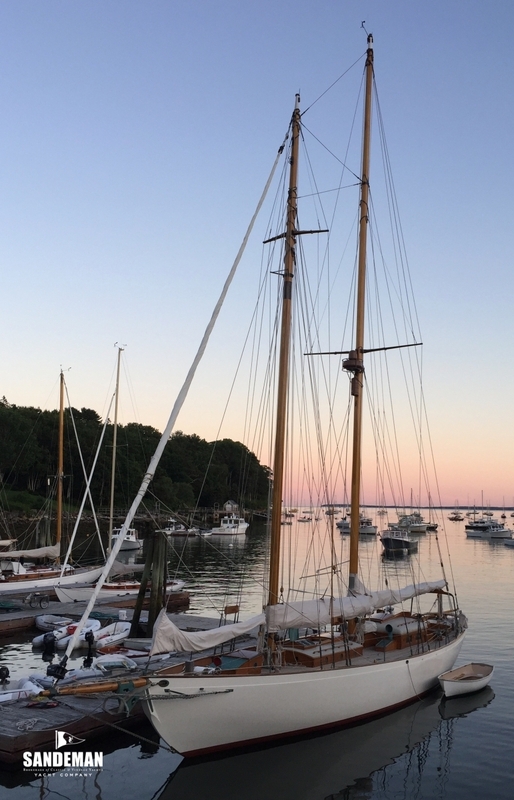 It seems days can go by without this touch and then, when it's switched on, the glow of being alive to music as REBECCA OF VINEYARD HAVEN glides or charges between bays unites. 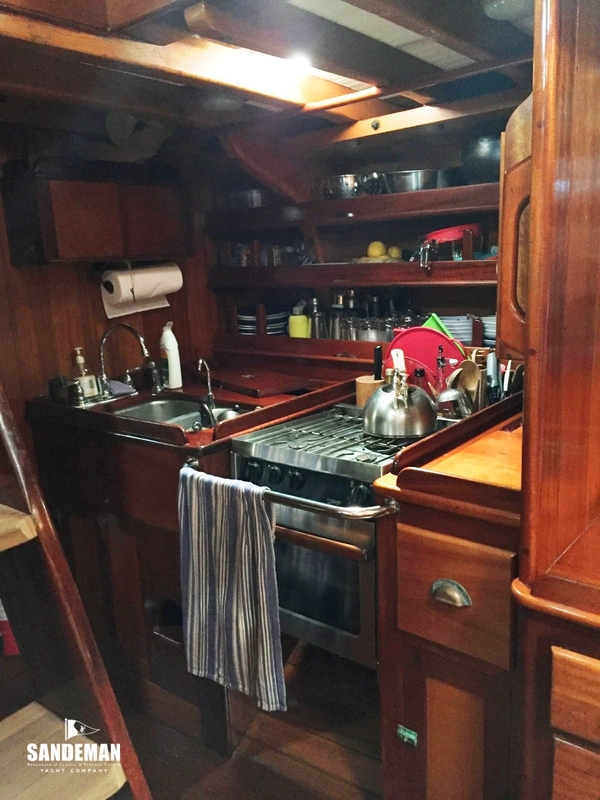 Hidden behind a cabinet is a satellite connected handset for calls and data, something I honestly have lost interest in, rarely considering it - I guess the sailing and freedom has been my focus. 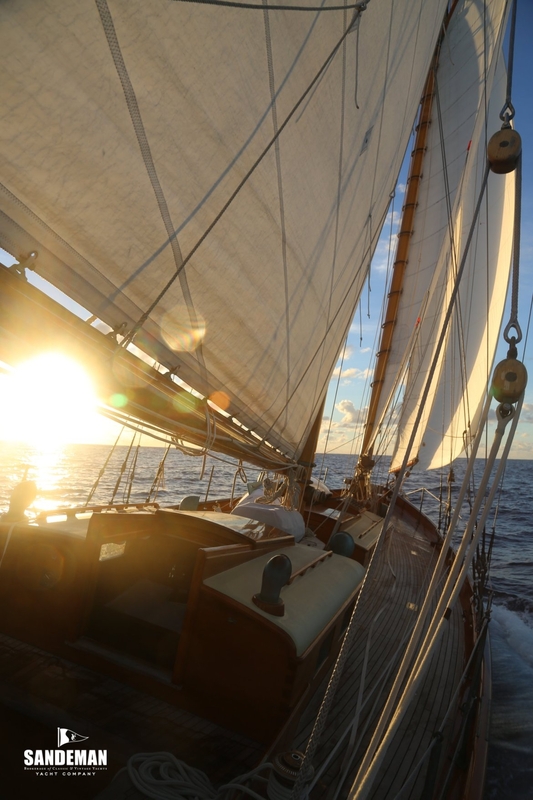 However, once we did fire up the system well outside of Bermuda to research a storm and Gulf Stream convergence. All data at our fingertips. 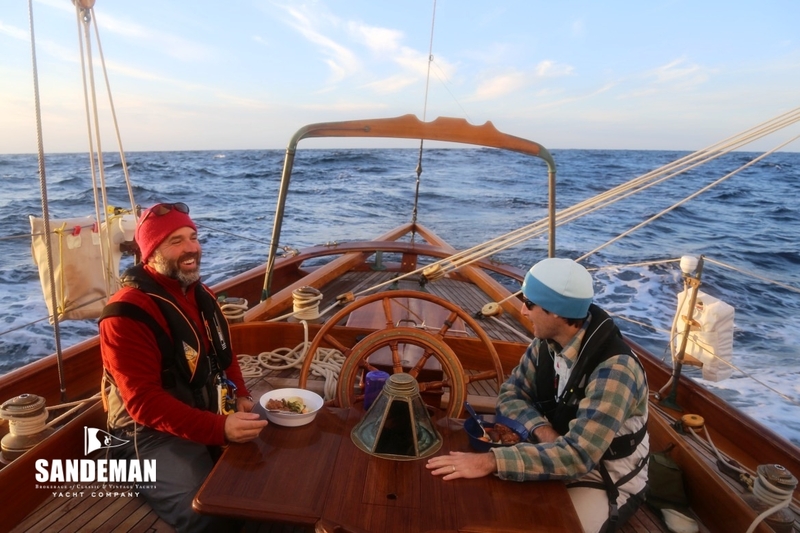 All I can say - we successfully navigated the current in a storm 24 hours later. 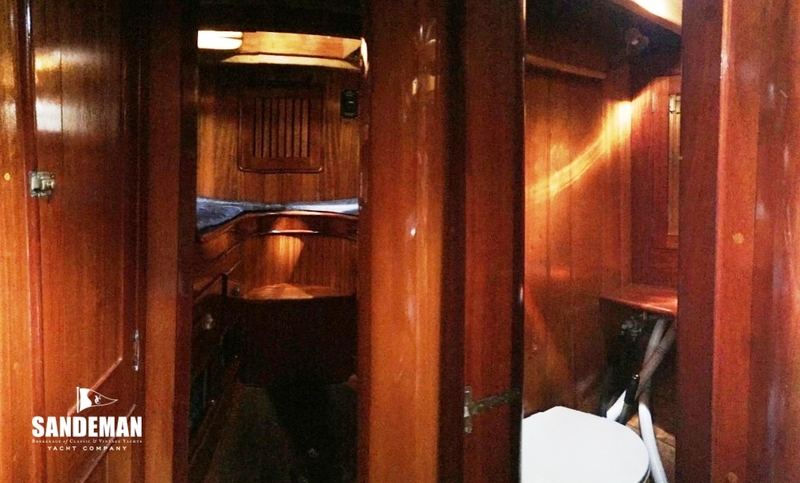 Since her 2001 launch, REBECCA OF VINEYARD HAVEN has superbly lived up to all expectations from the very beginning, when Nat Benjamin of Gannon and Benjamin Marine Railway in Martha’s Vineyard was challenged by her commissioner to design the ‘yacht of his dreams’. 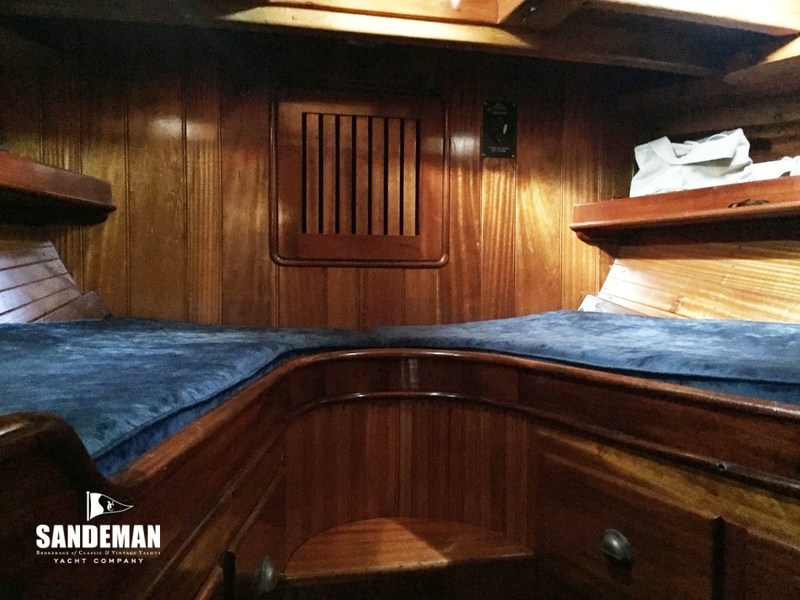 Nat set out to encompass all the attributes of a thoroughbred schooner, true to the sailing heritage of the East Coast of the USA, in particular the work of John G Alden of Boston and Olin J Stephens of New York, with a healthy amount of Gannon and Benjamin in the mix. 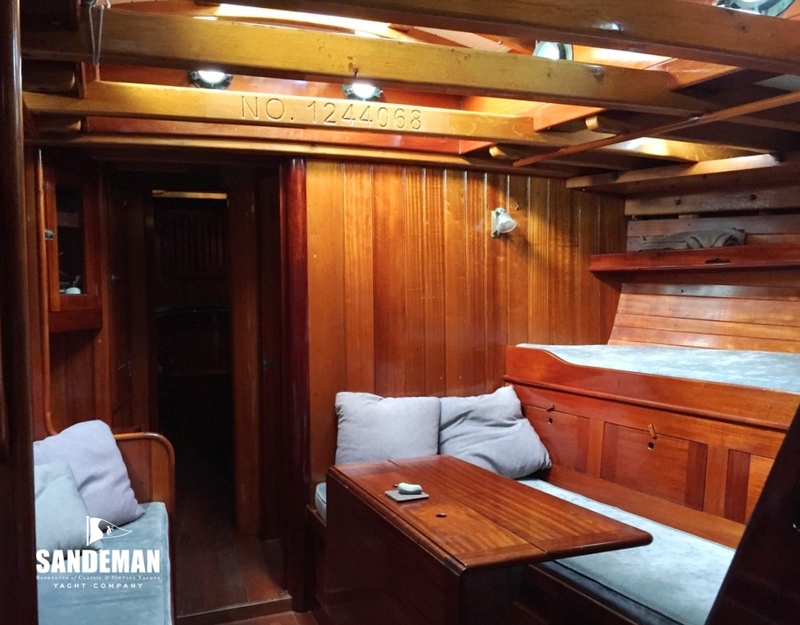 What he achieved is a yacht that not only looks beautiful but is sea kindly, sails well, turns heads wherever she goes and combines the honesty of a traditional design and build with the novelty of being ‘new’. 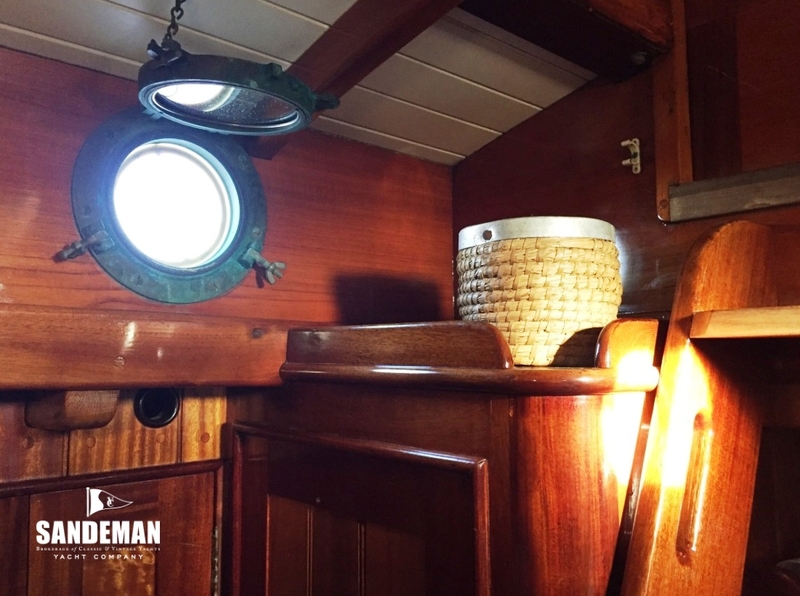 Her great strengths lie in the purity of design and the attention to detail in her construction – achieved through Nat, his partner Ross Gannon and their dedicated workforce, bringing to her their combined talents and lifetimes’ knowledge, experience and love for traditional wooden boats. 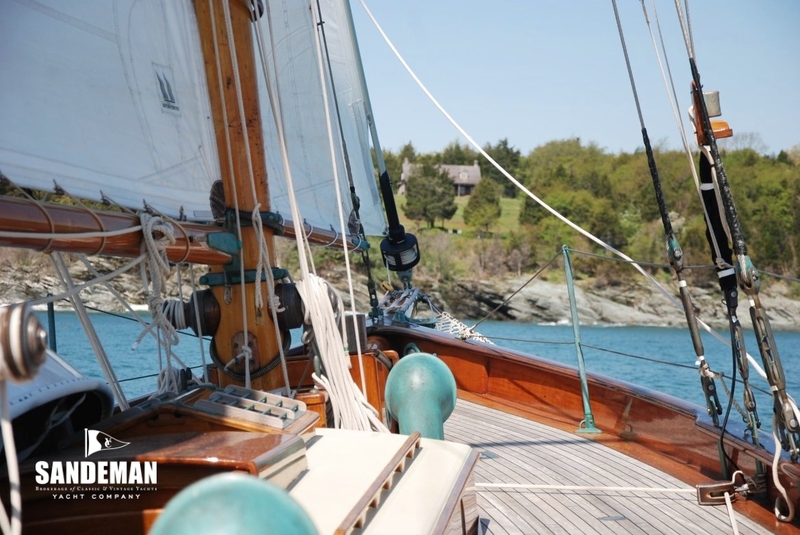 Under the careful stewardship of her first owners, REBECCA cruised extensively in Maine, the Caribbean and the Mediterranean, both with family and friends or hosting charter guests. 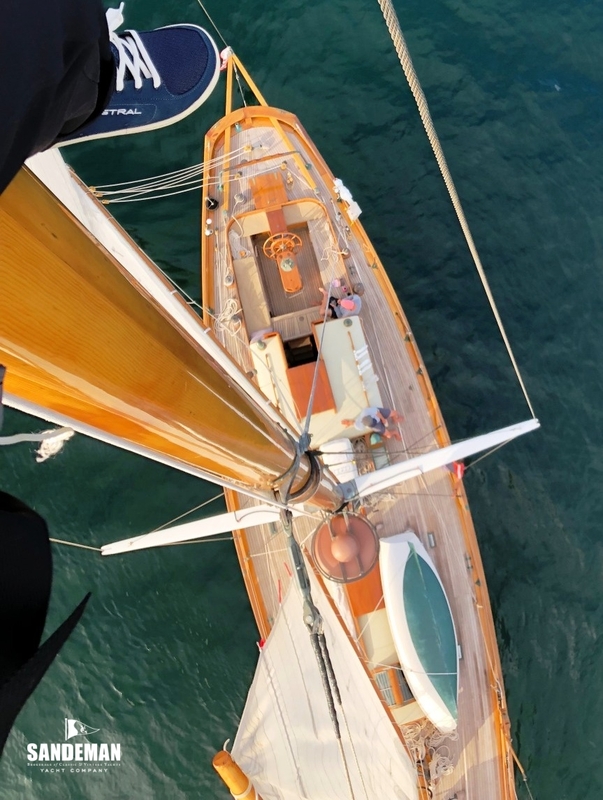 She participated in classic yacht regattas on both sides of the Atlantic - categorised by the British Classic Yacht Club as a ‘New Classic’ - and made two Atlantic crossings, including completing the 2000+ miles in 13 days from Cape Verde to St Lucia in December 2010. 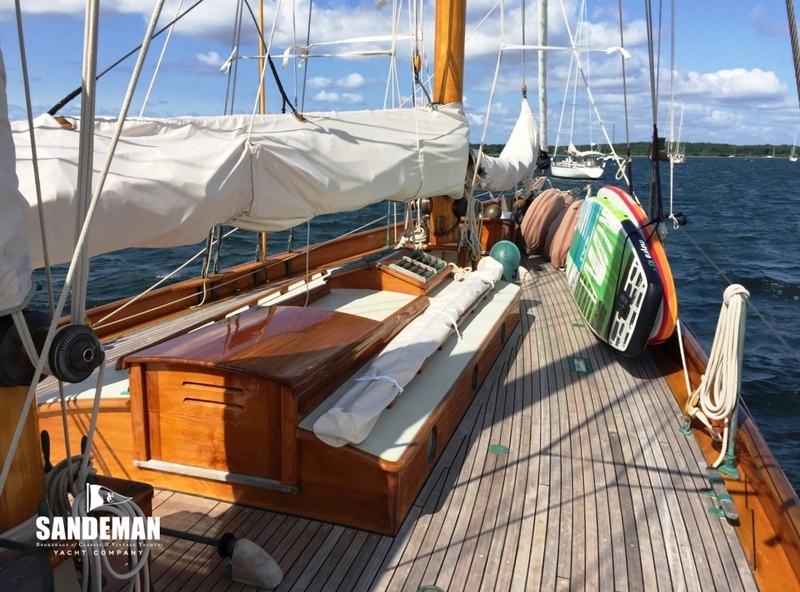 She made the long voyage from the English south coast back to her home port to celebrate her tenth anniversary with all those who conceived and built her, thereby fulfilling the owners’ dream to return to Martha’s Vineyard in REBECCA under sail and share with them stories of their many wonderful adventures together. And to reinforce her specialness, a second book was published in homage – a beautifully illustrated work on her origins and build; the first was a journalistic mainstream work covering the story of her build and the characters behind it. 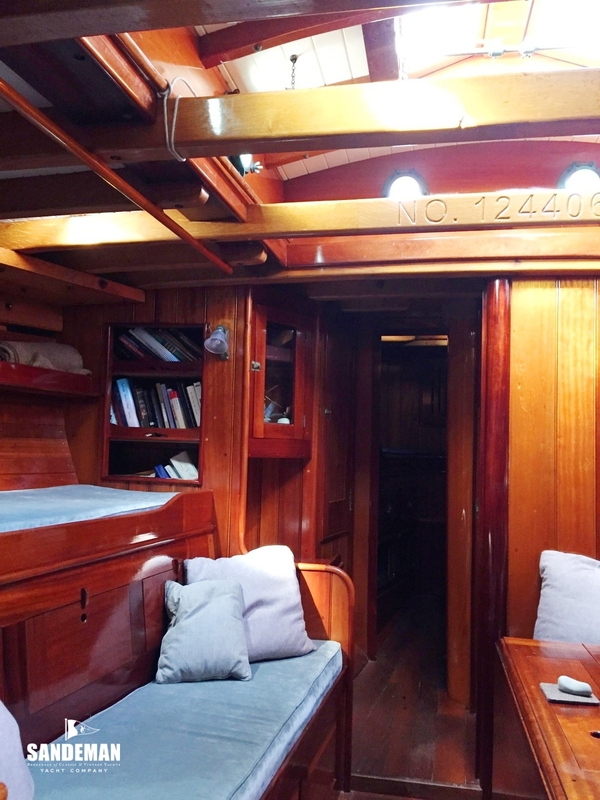 Since purchase in 2012, her second owner has cruised with family and friends the greater North American eastern seaboard from Nova Scotia to Grenada, and meticulously maintained REBECCA OF VINEYARD HAVEN “like new”. 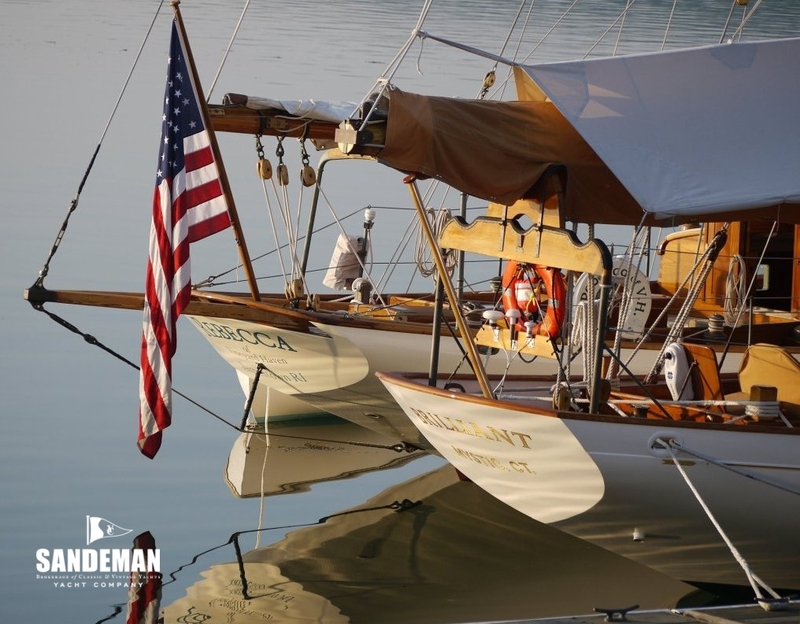 She is destined to carry her future owners on adventures across the seven seas in comfort and safety for many decades to come. - Ceramic washbasin; lockers behind. - Glass fronted locker with sideboard below with locker under.